I hate to use this blog as a political soap box, but I feel very passionate about anything that would hurt our Colorado craft brewers. While this seems like a no-brainer vote at first, it really could be detrimental to our Colorado craft brewers. Why wouldn't we want the convenience of picking up our favorite craft brewed six-pack at the grocery store when we are already there getting our food for the week? Well, here's the thing. Do you think the big box (Kroger, Safeway, etc.) grocery stores or convenience stores will carry that favorite six pack of yours? Most of the shelf space in the stores will be reserved for the big beer guys and the smaller guys will most likely get squeezed out. How many hoops do you think the craft brewers will have to jump through to get their beer on these shelves, as opposed to just walking into the local liquor store and talking turkey with the owner? It becomes a cascading effect from here. 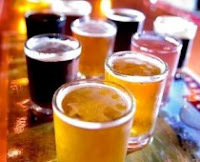 The local, privately-owned liquor stores will begin to go out of business because their beer sales will decrease and therefore the only other outlet for the small craft brewers will be the grocery and convenience stores, where they may or may not be able to display their beer. If the small craft brewers cannot sell their beer, they too will soon be forced to shutter. I know this sounds like an extreme result, but it is more possible than you might think. Therefore, it all goes on down the line and affects more segments of the industry than you think. Now, is all this worth the five minutes you might save picking up beer on aisle 7 as opposed to walking next door to the liquor store? Please vote NO on HB1284 & SB194. I love Colorado craft beer and what it stands for in our state.These bills are putting my beer at risk because my favorite Colorado craft brewery is less likely to get vital shelf space if corporate non-local, chain stores control the Colorado beer market. If I can't find my favorite craft beer on the shelf, I can't buy it. Access to market is critical in the beer industry and these bills move in the wrong direction. They will kill jobs, not grow them. Colorado is the envy of the nation when it comes to craft beer and these bills will change that. Please vote NO on HB1284 & SB194 and preserve brewery jobs in Colorado and our reputation as the leader of the craft beer industry. 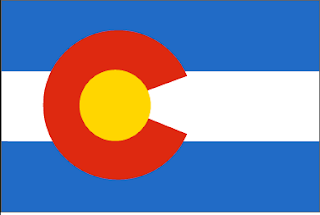 Help Colorado Brewers grow, and grow the state economy. These bills mean less selection and higher prices for Colorado craft beer lovers like me and I am upset. Please vote NO on HB1284 and SB194. My letters have already been sent and I urge you to do the same.